Wilkins at their last career meet at Schenley Park. 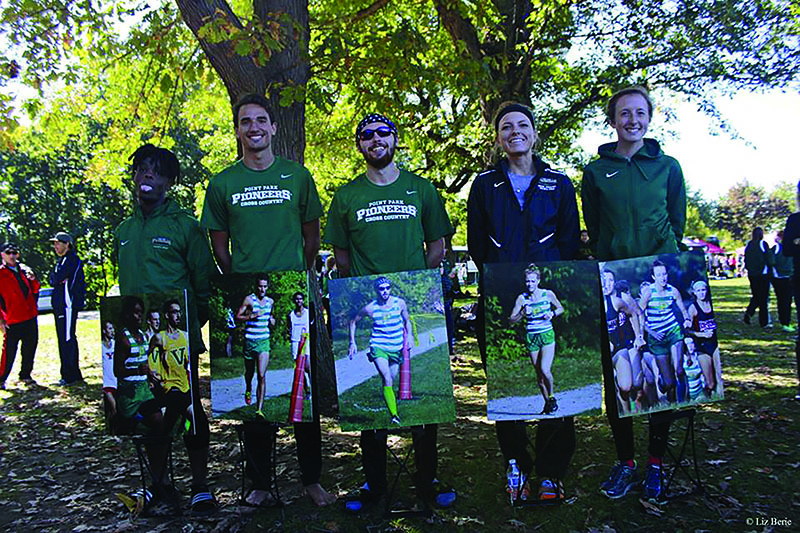 Gift bags, food and speeches awaited the five Point Park cross country seniors after Saturday’s meet. For future ceremonies honoring seniors, these teams are going to need more gift bags, food and time for speeches. Both the men’s and women’s cross country teams are young. On the men’s side alone, six of its top seven runners are freshmen. 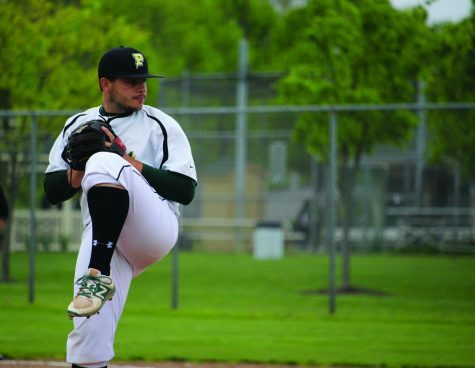 Freshman Brian Moore said other teams are taking notice of Point Park. Saturday’s race was the second-to-last one of the regular season. 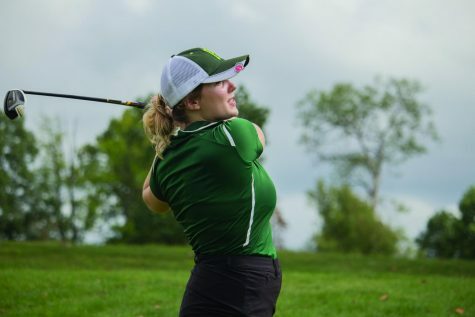 Point Park made the short drive to the familiar Schenley Park in Oakland for the Carnegie Mellon Invitational. 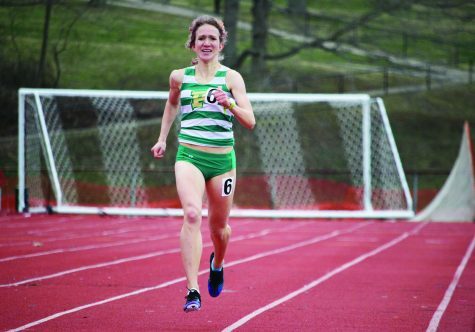 It was there last year that Point Park hosted the Kentucky Intercollegiate Athletic Conference (KIAC) championship meet that saw four of its runners qualify for the National Association of Intercollegiate Athletics (NAIA) national championship meet. One of those runners, sophomore Katie Guarnaccia, again led the Pioneers on the women’s side. She finished the 5K race in 11th place overall at 18:59. Point Park opened its season on the same course for the Duquesne Duals meet where Guarnaccia ran the course in 18:49, breaking the 5K school-record. Guarnaccia led the women’s team to a 9th place finish out of 21 teams. Freshman Madison Przicina ran the course in 20:19 as the second Point Park finisher and Senior Kelsey Wilkins 20:45.7 was third. 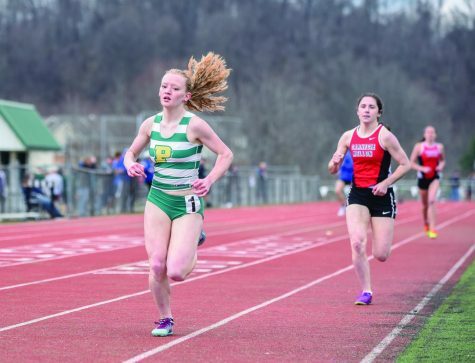 Point Park was without its normal second place runner, junior Emily Maxwell. Wilkins is only in her second season running cross country. 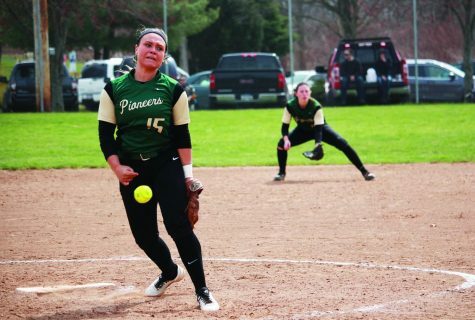 She actually started as a soccer player at Point Park and was a national qualifier in her first season last year. 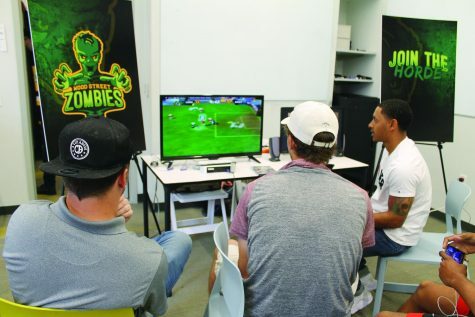 Przicina said the team will miss Wilkins’ leadership and companionship. "She is our mom on the team. She plays that mother role, but she’s also a friend too,” Przicina said. “She looks out for us and I think that’s really needed as a freshman. I didn’t have that in high school, so having that here is really good. Wilkins and Rachel Hinojosa are the lone seniors on the women’s team. Zane Kravec, Saafir Maddox and Eric Engel are seniors on the men’s team. But it wasn’t a senior leading the way for the men’s side. 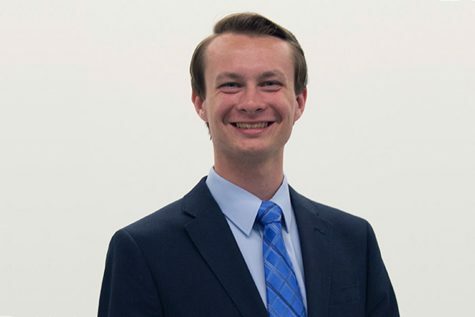 Freshman Brian Moore, who has led every week previously for Point Park, was the first Pioneer to cross the finish line with an 8K time of 26:69 – good for 13th out of 205 runners overall. Moore led the team to a 6th place finish out of 20 teams. Chris Hunt is in his second year at Point Park, but redshirted his freshman year and is in his first year of cross country eligibility. He was the fourth Pioneer to cross the finish the course at 28:05. “We’re so young. 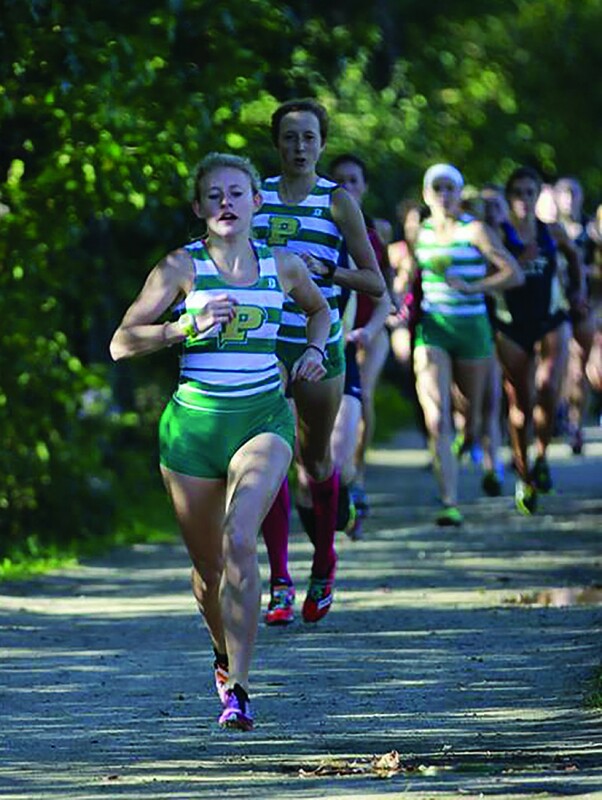 It’s a really exciting future for Point Park cross country because we’re just going to keep getting better every year,” Hunt said. The next meet for Point Park is Oct. 23 at Rio Grande. Rio Grande also hosts the KIAC Championship Meet this year on Nov. 7. 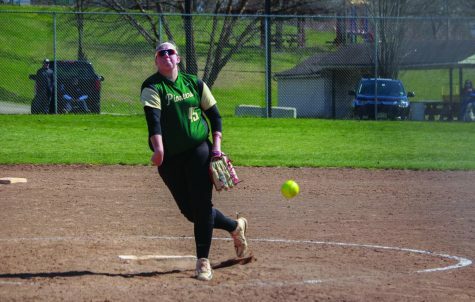 Hunt hopes the team has a strong showing at Rio Grande after the positive year. 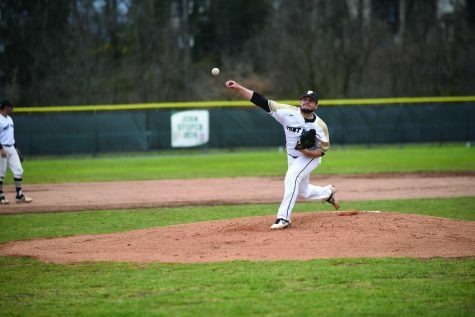 Guarnaccia wants nothing less than a new personal record before the season ends. “I want to see another PR. 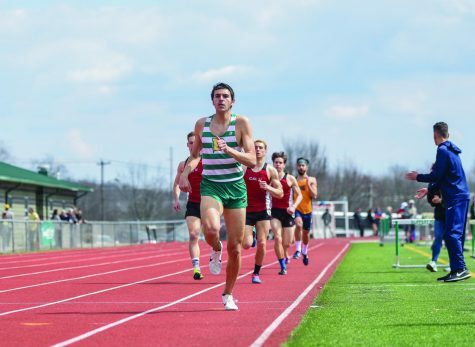 If I don’t PR, I’ll be mad at myself,” Guarnaccia said. A new personal record for every Point Park runner is something coach Parsley would love to see. He said this is a real possibility at the seasons’ final meets at Rio Grande.